Our multi-client socket.io tests work, but they’re pretty ugly. In this episode, we look at ways to improve the code. 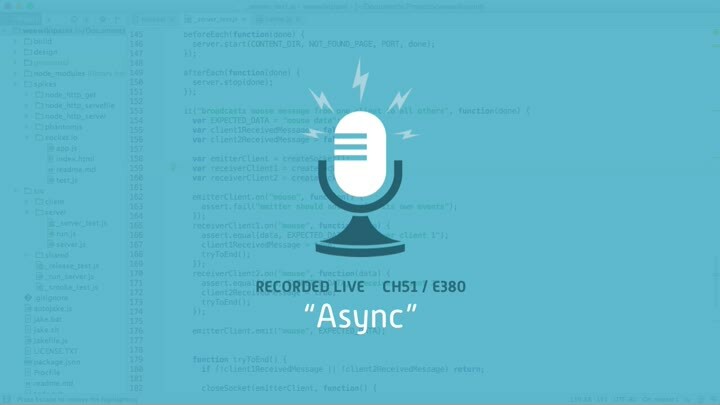 We turn to an old standby: the “async” library. Once that’s done, we convert our server from a single-use module to an instantiable class. That ends the chapter.